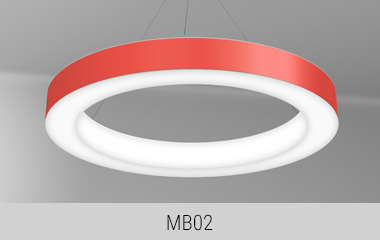 A cornerstone of our luminous forms collection, Novato Ring is renowned for its even, three-sided illumination, versatility, and high performance. With efficacy over 100 lumens per watt delivered, it can often be the only light source required in a space, providing both the aesthetics and the performance you require. Available in a wide range of configurations, Novato Rings are well-suited for a range of environments from modern to traditional. Diameters over 60.00 in are segmented. Photometrics for Metal Band options are available on the product pages. 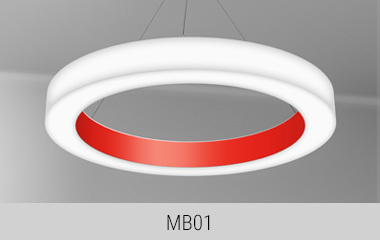 Novato Rings can be further customized by adding an optional decorative inner and/or outer metal bands. 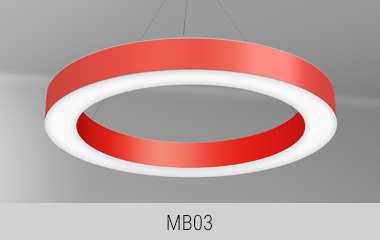 Bands are available in more than 30 painted finishes or can be customized to match your decor.